Steven Gerrard has told rising star Stephen Kelly he would have handed him a contract three years longer than the one he has agreed with Rangers. 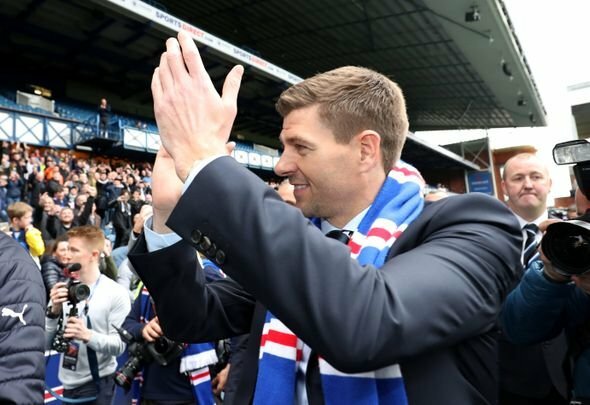 Gerrard congratulated the highly rated midfielder, 18, on Friday at the club’s Auchenhowie training base on the new three-year deal he signed 24 hours earlier. Gerrard has his tongue firmly in his cheek as he questions the length of the contract agreed by Kelly. Credit to the manager for bigging up the rookie, who has made immense strides in the last year and is regarded by many – including ex-Ger Josh Windass – as the best of the current crop of academy players at the club. The camaraderie of the squad is evident, as is Gerrard’s man-management skills as he makes a fuss of a youngster who is training with the first team regularly but has not yet made his senior bow. That could well come this season as Kelly has already made the bench for some Rangers Europa League qualifiers and has earned rave reviews for his performances in the Gers’ Under-20s side. Gerrard has spoken warmly and generously of some of the club’s youngsters, none more so than Kelly, and while his ‘six-year’ claim is half in jest, it is clear he thinks highly of the teenager.